A MAAAAAAHUUUUUUUSIIIIIIVE Happy New year to you all! I do hope you had a splendid holiday season and that you started the new year in good spirits and good health? I was lucky enough to go home this year for Christmas, something that I just love to do. It was a great time spent with my family, eating rich and indulgent foods and having a moment to contemplate the past year, as well as look forward to the next. I'm making plans and I can not tell you how excited am to see where these plans may take me over the course of the year. I haven't been blogging so much, as I wanted to get organised. Filling out my diary and knowing what was what before 2017 turned into 2018. I'm ready for it now though and I hope you are also? I'll be back with a new post on Wednesday....but until then I wanted to take a moment to anounce the winner of the very exciting giveaway that I mentioned last post. To see if you were the lucky winner, check out the raffle video below. I hope you enjoyed the giveaway? 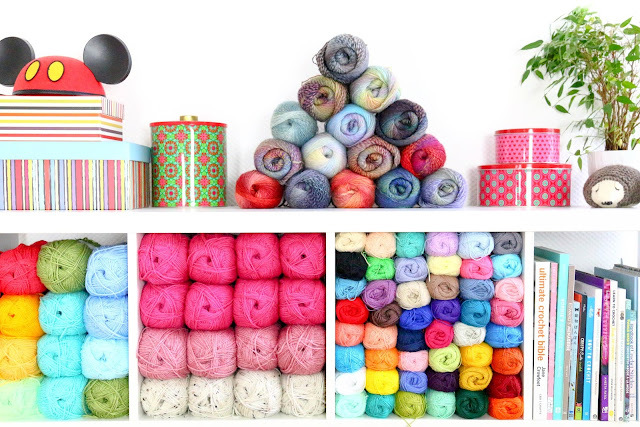 If you were not the lucky winner this time, you can still get your mits on this yummy yarn by visiting the Scheepjes website to find stockists in your area or by buying the yarn here at Woolwarehouse! Thanks for all of your support over the past year! I appreciate your love and energy more than you can imagine! See you soon hookers! Matt good luck with your new adventure. Wishing you a fabulous 2018.